Parliament has today passed the Turnbull Government’s historic legislation delivering the “missing piece” for Australian patients and their doctors to access a safe, legal and reliable supply of medicinal cannabis products for the management of painful and chronic conditions. Minister for Health Sussan Ley today thanked her Parliamentary colleagues from across both Chambers and the political spectrum for the fast passage of the Government’s legislation in a bi-partisan fashion. Ms Ley also thanked the Department of Health, Therapeutic Goods Administration (TGA), State and Territory Governments, and patient representatives for their constructive consultation on the legislation prior to its introduction into Parliament, which ensured it passed quickly without amendment. “This is an historic day for Australia and the many advocates who have fought long and hard to challenge the stigma around medicinal cannabis products so genuine patients are no longer treated as criminals,” Ms Ley said. “This is the missing piece in a patient’s treatment journey and will now see seamless access to locally-produced medicinal cannabis products from farm to pharmacy. “I would particularly like to acknowledge the many patient advocates who have played a tremendous and tireless role in bringing this important issue to the attention of the nation. Today’s passing of amendments to the Narcotic Drugs Act will, for the first time, provide a pathway of legally-grown cannabis for the manufacture of suitable medicinal cannabis products in Australia. “A national regulator will allow the Government to closely track the development of cannabis products for medicinal use from cultivation to supply and curtail any attempts by criminals to get involved,” Ms Ley said. It is recognised that, while there are existing mechanisms by which medicinal cannabis products from overseas can be accessed under Australian law, limited supplies and export barriers in other countries have made this difficult. 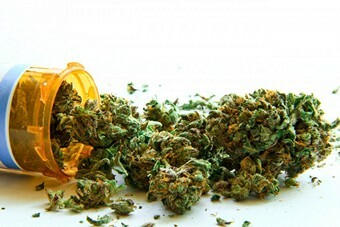 Under this scheme, a patient with a valid prescription can possess and use a medicinal cannabis product manufactured from cannabis plants legally cultivated in Australia, where the supply is appropriately authorised under the Therapeutic Goods Act 1989 and relevant state and territory legislation. To support this, Ms Ley also announced the Department of Health, in conjunction with the TGA, was currently well-advanced in having cannabis for medicinal purposes considered for down-scheduling to Schedule 8 of the Poisons Schedule. “This will simplify arrangements around the legal possession of medicinal cannabis products, placing them in the same category as restricted medicines such as morphine, rather than an illicit drug. This will in turn reduce any barriers to access, no matter what state a patient lives in,” Ms Ley said. The TGA undertook public consultation on down-scheduling cannabis for medicinal purposes in January 2016, with an interim decision due in March 2016. Further consultation will then follow. Ms Ley also announced an independent Advisory Committee would be established to oversee the next stage of the rollout of the national regulator now legislation has passed.